Hey everyone! This is the 4th products I'll be reviewing from my Influenster LoveBox! -My thoughts: These chocolates are seriously like heaven in your mouth! They instantly melt on your tongue and are sooooo creamy. I need to go out and try more of these! I think its one of the best chocolates I've ever tasted. You guys should try these! Amazing! 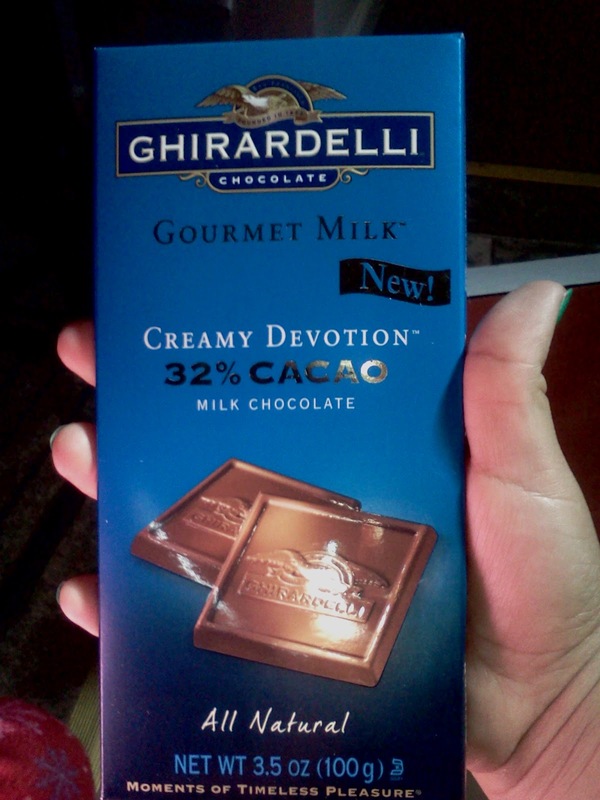 -Product Description: The decadently rich and creamy 32% cacao milk chocolate in Creamy Devotion™ delivers an epicurean chocolate experience. Experience a moment of timeless pleasure with all natural Ghirardelli Gourmet Milk™ chocolate. Yes! :) i completly agree! !